Before ordering our concrete blocks and barriers, we recommend you read through our top tips below and get ahead of the game. If you are going to use them for a long time, buying could be cheaper BUT concrete barriers are heavy so you'll need a machine to move them, and somewhere to store them. The cost of hiring a machine plus the cost of storage might make concrete barrier hire a better option. Fill the lorry. We can get 14 size A or B blocks on a lorry, its much cheaper to fill one lorry than take 2 smaller loads. 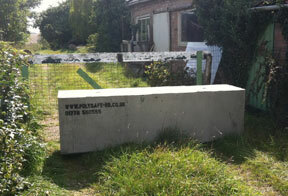 If you only need a few concrete barriers, you can collect them yourself. Provided you have a suitable vehicle/trailer we will load for you FOR FREE. We are based close to the A1 and are easily accessible from all directions. Using the concrete barriers again? You may be better off ordering a mixture of sizes for future flexibility. 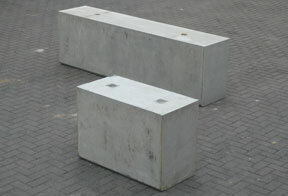 Concrete barriers are designed to be heavy and awkward to move. Although we have 1 ton blocks for smaller spaces, check your site is accessible for delivery for the barriers you require - sometimes 2 small blocks are better than one big one! For information on preparing for the delivery of your blocks visit our site preparation page.